Three brush action for safe operation and maximum effectiveness. Extensive range of accessories covers all scarifying, scrubbing and floor preparation applications. Auto reverse action for extended brush life and brush tip re-sharpening. Additional ballast weights for increased scarifying ability. Durable construction, designed for heavy duty industrial use. Floating brush effective on uneven surfaces. 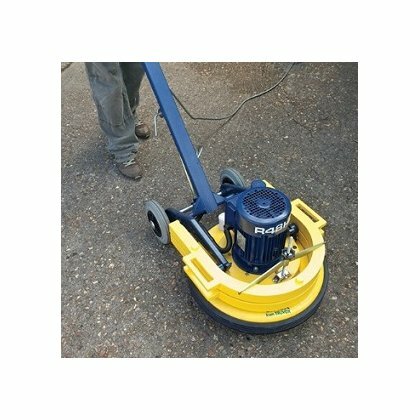 Scarifiers are heavy duty industrial floor scrubbing machines for use on applications such as removal of impacted oil, grease and debris from concrete floors, floor preparation, combating rust, paint and soiling from steel chequer plates, removing glue, carpet backing foam, and rubber removal. These scarifiers can also break down ice build-up in cold stores as well as the keying of concrete for rescreeding and levelling. The ‘DF’ model for preparing and maintaining marble, terrazo and other stone floors. In many industrial environments the build up of oil, grease, paint and other extremely stubborn deposits can pose nearly impossible clean-up tasks. Manual methods of removing these deposits can be time consuming, difficult and costly. Heavy duty three brush machines will cut through dirt on some of the very hardest to clean surfaces. They are perfect for tackling nightmare jobs like impacted grease on an old flooring surface or adhesive residues, or even ice build-up in cold store floors. 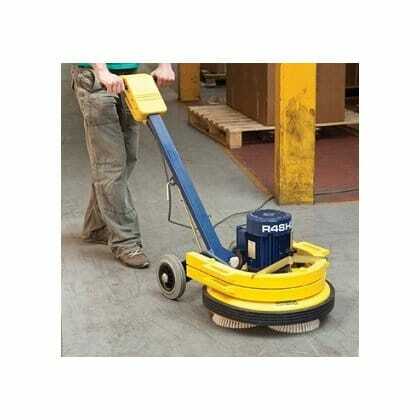 With wire brushes, the Heavy Duty machines are even capable of scarifying concrete industrial floors. 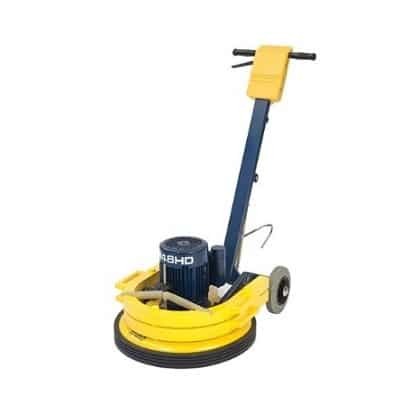 Also very good for preparation of marble, granite, terrazzo, and other stone floors the CR48DF model (Diamond Finisher) provides the best possible solution. The unique Cimex triple brush action and machine construction means that the CR48DF is very stable with no pulling action, meaning less operator stress and fatigue. It also maintains an even pressure, minimising any risk of cutting or scoring the floor.